Nobody does it better than the Basque! Do you know any other place on the planet where the Mayor voluntarily throws the keys of his city to a massive crowd surging below his balcony so that they can party nonstop for five days? That would be in the very Basque town of Bayonne at the beginning of August. Bayonne lies deep in the heart of French Basque country on the southern end of the Côte d'Argent. (At this point it`s called the Cote de Basque.) 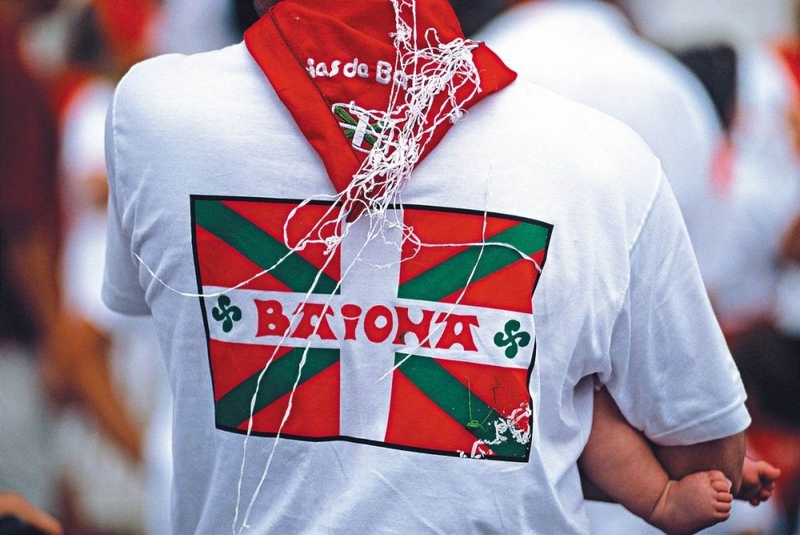 The Basque ethnic group traces its origins back over 3000 years and has its own unique language – neither Spanish nor French. Bayonne abutting Biarritz to the northeast and lying two hours south of Bordeaux, is also famous for the introduction of chocolate and the invention of the bayonet not to mention a great football club. Moreover, it has the longest history of bull fighting in France. Party planners make note that here may be your model for the perfect party. But plan early. The Fêtes de Bayonne has been an annual Basque and the largest French festival celebration since 1932 with only a pause during World War II. This perfect party is planned always around the end of July or around the first Sunday in August and it`s not too early to do your homework right now. What are the factors that have made The Fêtes de Bayonne such a success? We could point to lots of music, fabulous and unending food choices, parades and more parades, warm evenings, dancing, concerts, fiercely competitive sports events, timing or location location. But let’s face it. It’s passion, passion, passion. Many come to chase cows - hard to believe that it was all started by a football club isn’t it. And you will of course want the formal attire of the Fêtes de Bayonne to blend in and become a “Festayres”. Dress all in white and tie a red bandana around your neck. Don a dashing red beret. A red sash is also a nice touch but that might just restrict your waist line over the successive five days of fabulous Basque cuisine grazing. 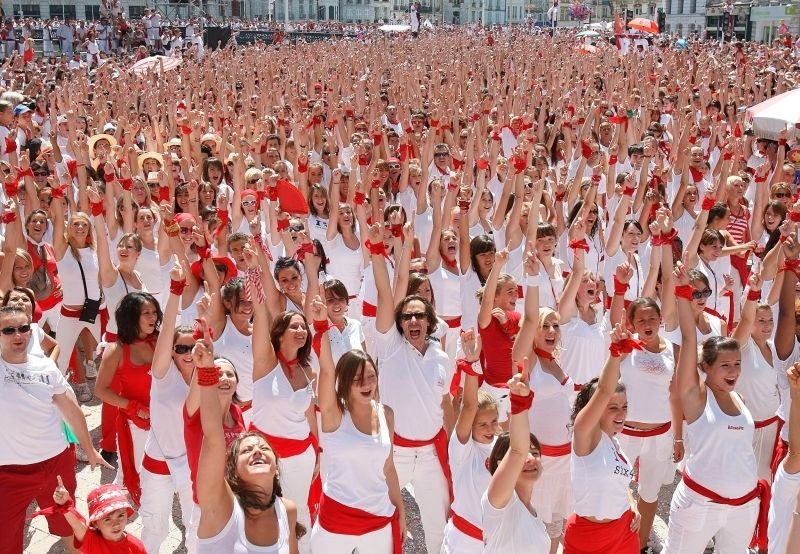 To reach the Fêtes de Bayonne, on Wednesday morning, thousands will start running from Biarritz. We did point out that this party was very popular and many try to get there early. This is called “The Race of the Festayres”. They all know cars will not be allowed in the town and the rest of the seasoned “Festayres” will be taking well organized public transportation. You’ll be treated to organized and traditional groups dancing every day. At the Place de la Republique, be welcomed by great jazz performances or to the sound of the big bands. Guest choirs, flamenco artists, reggae-soul and blues are on the menu as well. Thursday is Children’s Day and The Fêtes de Bayonne party planners have gone all out to nurture and care for the up and coming “Festayres”. Meet King Leo, the mascot of the Fetes in the morning and check out the Basque Museum offering fun and free workshops for kids. In the afternoon there’s a full program of activities. Always a squealing delight for the younger set is Encierro Txiki. This is a bull run of papier-mâché bulls on wheels. The Mega Picnic that day includes tons of entertainment and locally grown organic produce puts a new meaning to take out or take away food. It’s a good idea to get your tickets early for this meal. 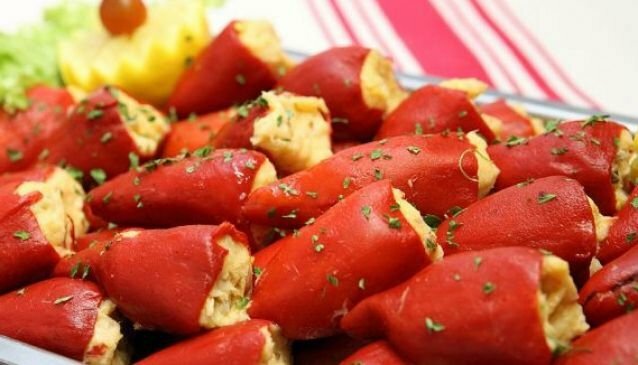 If you miss this there's always a great Basque restaurant right around the corner. Friday to Sunday more passion and calories are expended and channelled through sports events from rugby, bowling etc. and of course the popular Basque game of “ Pelota”. A classic and very serious court sport, dating back to the 13th century, Pelota is a bare handed competition with an international ranking of star players. It is somewhat like squash or handball and was even played at the Paris Olympics in 1900. There are variations on the theme of this sport which is still played worldwide. Apparently you can spot the distinguished players by the swelling of their hitting hand. Don’t forget there’s always more cow chasing every day as well. Saturday is the grand and impressive “tamborrada” or parade of masses of noisy drummers whose incredible sound making will have your heart looking for new beating patterns. After more cow chasing in the afternoon, in the evening, you’re off to the big carnival parade followed by concerts around town and enjoying more music into the soft summer night. 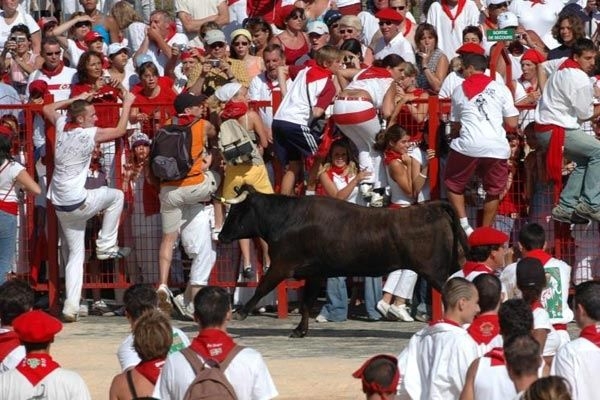 Sunday is Pamplona Day. Pamplona, the bull fighting town in Spain, is the twin town of Bayonne. Marching bands from both areas lead the crowds to Mass at the Church of Saint Andrew. It’s a day of rest. No cow chasing. Fireworks at night finish off this day and the extraordinary five day Fetes de Bayonne comes to a glorious and brilliant end!....and, as a true and seasoned “Festayres”, you immediately think about booking your accommodation for next year.